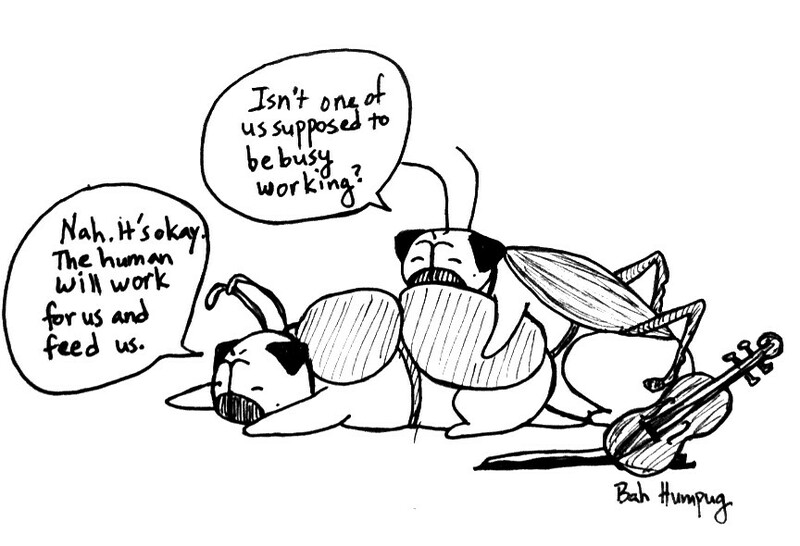 If the ant and the grasshopper were actually pugs, then they would have both spent the harvest season being lazy and dozing. 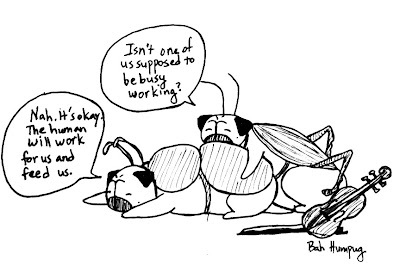 Moral: Idleness brings want. So always have a human trained to work hard for you and feed you yummy food.